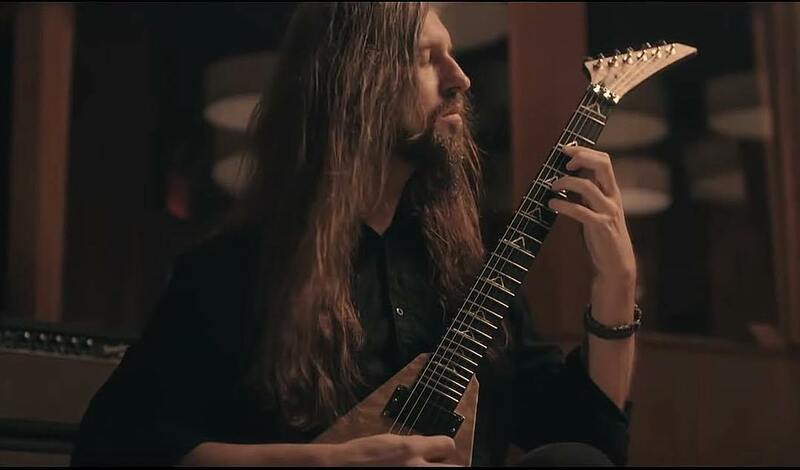 Last month, All That Remains guitarist Oli Herbert tragically died at the age of 44, in what was described as an accident on his property. His body was found in a pond near his home, and now his widow has revealed his cause of death via a posting (November 10th) on the musician’s Facebook page. Herbert’s wife, Beth, revealed that the guitarist died by drowning and that anti-depressants and a sleep aid were found in his system. She also explained why a scheduled public memorial for Herbert was abruptly canceled, citing concern for her safety. Some comments questioned the seemingly cheery introduction to her post, in which she said, “indeed it IS a good morning” before going on to give details of Herbert’s death. Her entire post reads as follows:Good morning everyone this is Beth. And indeed it IS a good morning; Toxicology results are back as is the official cause of my husband’s death! Toxicology- Oli was apparently self-treating for manic-depression that has run in his family for several generations. Anti-depressants were found in his system, as well as a sleep aid. The psych meds found in his system were the same ones that a close relative has been prescribed for a long time, so he knew what to hunt down for the ‘treatment.’ Seeing how he was not going (and WOULDN’T GO) to a doctor to get diagnosed with the issue and was not being prescribed the medications and monitored on them, it explains his occasional erratic behavior here at home. As far as why the memorial was canceled; concern for my personal safety and home due to numerous threats to both is the reason. Toxicology reports don’t come back for at least 2-3 months. Is this an official Toxicology report? Or one she made up on her own? There’s a group on Facebook called Justice for Oli Herbert. There are about 3400 people in this group that most agree that there’s foul play involved with his death. I quote Wendy “I had absolutely nothing to do with this except being accused by “guilt by association”. Around April/May 2018 you began obsessively stalking Oli through messages, phone calls and showing up unannounced at various places you knew he was at. Even once crying, causing a scene to desperately get his attention. After not getting the attention you wanted, you THEN befriend Oli’s soon to be ex-wife in order to get closer to him. Fast forward a little bit, you two become “besties” even having Beth attend your daughter’s graduation ceremony. Then comes June 2018 you get commissioned as a notary…. Exactly one week before Oli died you notarize, sign and stamp off on a Will for Oli, FOR Beth. Pretty sure that’s illegal. How dare you say you are being accused of “guilt by association”, is that not associated enough!? With his wives eradicate behavior and crazy postings, one must ask, does she know more about what happened? Is there foul play involved? As of this time, the Connecticut State Police hasn’t returned our call for a comment about the status of the investigation. We will keep you informed of any updates on this tragic loss to the music community! We want the truth from the authorities! Next Next post: Shawn Lane: One Of The Greatest Of The Greats!